Backcountry sites: An unlimited number of permits can be issued but only 63 spots have a metal fire ring. Fires are restricted to metal fire rings. Cost $14- for 1-6 people. Maximum number per site is 6. I visited Porcupine Mountains 2 weeks ago. 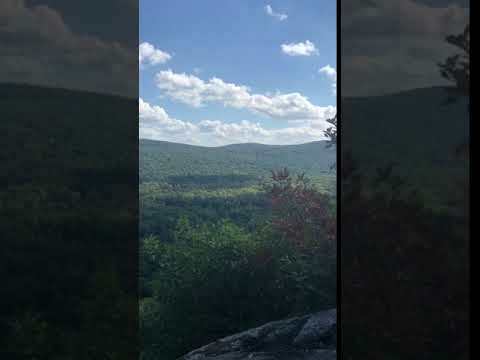 I parked at Lake of the Clouds and made the hike to Shining Cloud Falls with 35 lbs on my back. The hike was rough, you hike up and down the mountain with many steep stretches, travel through 3 rivers/streams. The site was beautiful and completely worth it. The water was clean for drinking, cooking, cleaning, and swimming. A mouse did somehow manage to get into my peanuts which were up on the bear pole and night and left us a surprise in a coffee mug left by the camp fire. We were also visited by either deer or moose at night. The second day we hiked to LS-16, the hike was better than day 1 though travel consisted of hiking long sketches on small pebbles. The site is directly on lake superior, we made it in time for a beautiful sun set. The water was crystal clear and great for swimming, cooking, and cleaning as well. This site is a shared site, important to not and we did not have a bear pole and thus had to hang food from the tree. The hike back to Lake of the Clouds was a straight up mountain venture. Incredible sites along the way. Total trek was about 22.5 miles. The park was dog friendly. There are many options for backcountry that include hike in and several that are drive in- those are the “outpost” ones. You really can’t beat the camping experience here, there is something for everyone- rustic to modern. This state park is absolutely gorgeous and has so much to it. We stayed at a campsite on the Escarpment trail (ES-1) and it was absolutely gorgeous. It was right on a ridge, had a bear pole, a fire ring, and an ample amount of space. It was about a 4 mile hike through ridges, deep forest, hills, and valleys if you left from the Lake of the Clouds parking lot. If you left from the Chayboga creek lot, then it was about 1.75 miles of mostly steep inclines. Make sure to bring plenty of water with you, the closest water source is next to the Chayboga creek parking lot which is quite a hike if you are tired and dehydrated. In all this has been one of my favorite backpacking sites and recommend it to everyone. Keep in mind that you do have to reserve the backcountry campsites before hand! This is a beautiful area to visit even if it is just for a day, but just a days visit will leave you wanting to comeback for more! 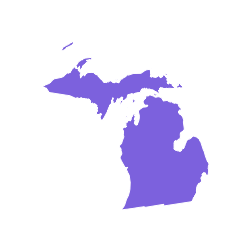 The Porcupine Mountains is located in the Northwest tip of Michigans Upper Peninsula. There are multiple entrances depending on what part of the park you want to visit. One of the most popular sites in the park is Lake of the Clouds. I have never been fortunate enough to see it on a clear day in person so you may take your chances by cloud cover or the fog. There are campsites that do sit close to the lake but require a hike. This park offers many hiking trails that pass and cross numerous lakes and streams. If you are a backpacker this is an excellent place to go. I would suggest later August or Fall. The trails can be impassable at times during the late Spring and the black flies will disappear usually by August but they can stick around. Check trail conditions often!! You can either camp with your tent or rent cabins along the trail which are usually well kept, I can not say the same about the Yurt however. You should book these cabins or tent sites well in advance as this is a popular park. I prefer tent camping but on my week long hike I decided to rent cabins instead and I am glad I did. I did hike the second week of June and the trails were unkept and the tent sites were thick mud with not much of a choice but to sleep in the mud. The cabins do have wood burning stoves, beds and benches. You will have the occasional rodent but some of the cabins had traps in them and if you set one and catch one, you will be left alone for the rest of the night. I had set the trap and reset the trap twice in 30 seconds, after catching two and coming to the conclusion I could be up all night doing this, after the third trap I just left the rodent in the trap and it must have been a deterrent because I wasn't bothered the rest of the night. I really can't say enough about this park even though my hiking experience was miserable given the trail conditions. It is a challenge to hike but with such a vast are of wilderness there is so much more to do. Near by is the Presque Isle River Campground and Scenic Area which shouldn't be missed either. Old Growth Forest. Frozen In Time. The Porkies are my favorite forest to explore on the continent. The vegetation is so much more lush than what you find out west, and all the old trees seem to have stories. The panoramic view from the ridge above the Lake Of The Clouds is breathtaking and is my favorite spot to hang a hammock to sleep under the stars. I've hiked every mile of trail in the Porcupine Mountains and it feels like a new adventure every time I'm there. Deer, fox, coyote, hawks, eagles, brook trout and bear have been a pleasure to accompany me there. Only a few hours drive from northern Wisconsin. 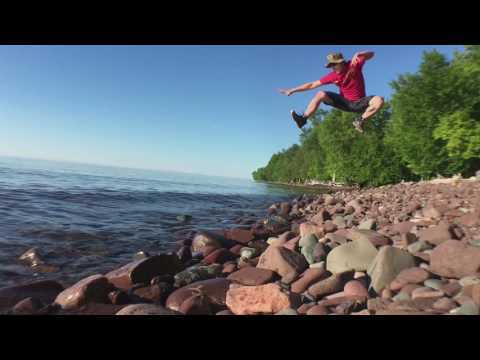 Porcupine Mountains is one of my favorite northwoods spots to visit. I have seen black bear here on numerous occasions. I love to sit on the flat rock shore of lake Superior. The colors of the rocks are remarkable! 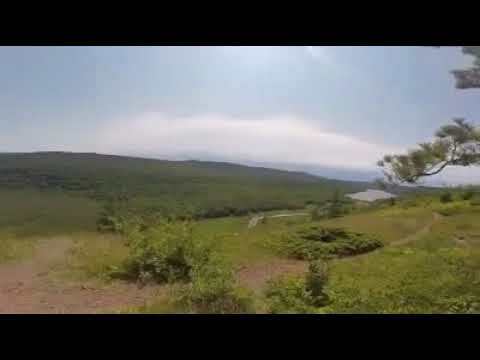 Check out both lake of the clouds and the presque isle area. Happy adventuring! We made the trip up to the porcupine mountains in early May. The trees were still partially bare from winter and we even saw the last traces of snow melting! We camped at Mirror Lake and along the Big Carp River Trail. Mirror Lake: Mirror lake is tucked between ridges in an almost valley-like area and hiking there requires a bit of ascending then descending small hills. The hike takes you through one of the largest stretches of old growth forest in North America, which is beautiful. The trail is marked with blazes, although it was an effort to locate each successive blaze along the trail. Perhaps later in the season once the trail has seen more foot traffic, the path is more defined/easier to follow. Mirror lake offers an amazing way to view the forest and immerse yourself into the wilderness but it does not offer the iconic views of the Porkies. Big Carp River Trail: Once the trail takes you up the mountain side, the trees start to break and you have an amazing view of the valley and old growth forest below. We hiked this trail along the cliff edge and found the perfect camping spot maybe 1/2 a mile down. It felt like one of those camping sites you see pictures of but never actually exist in real life. We camped right at cliffs edge looking out into the surrounding Porkies and I swear it was real.